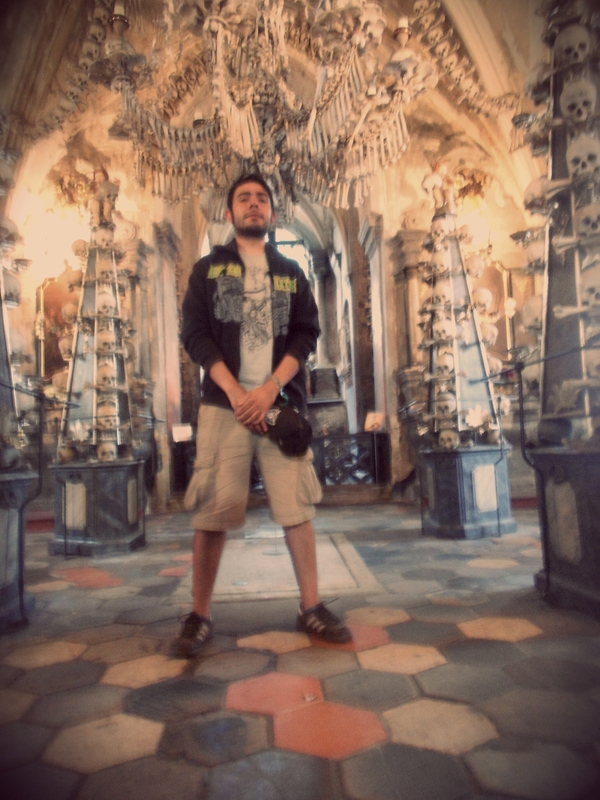 The Sedlec ossuary in Kutná Hora is a place straight out of a horror movie. 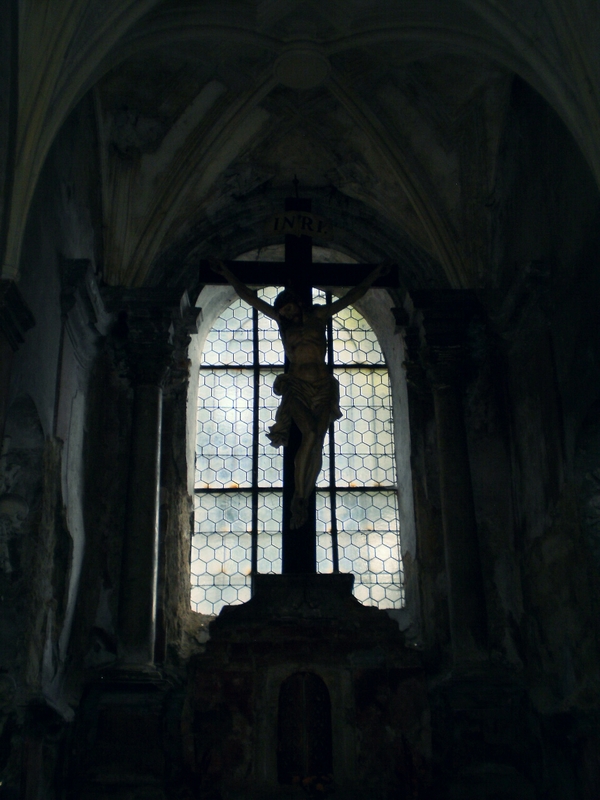 It also happens to be a Catholic chapel and the choice location for a photo shoot if you’re in a Death Metal band. 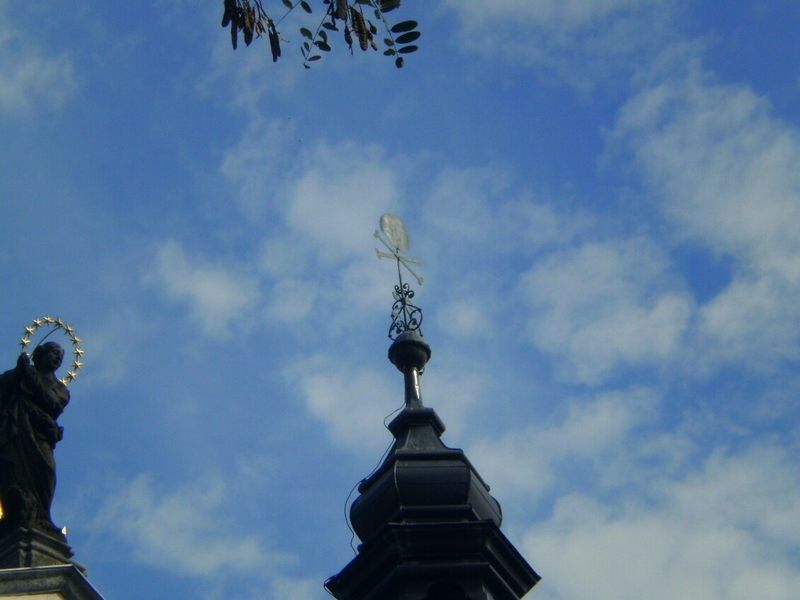 But what makes this small chapel so interesting for tourists? 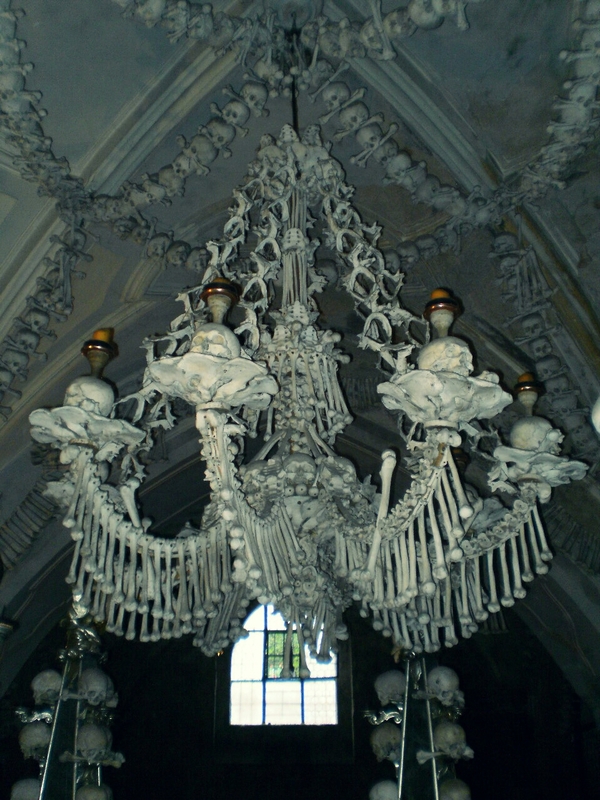 The Bone Church is decorated almost entirely with bleached human bones. 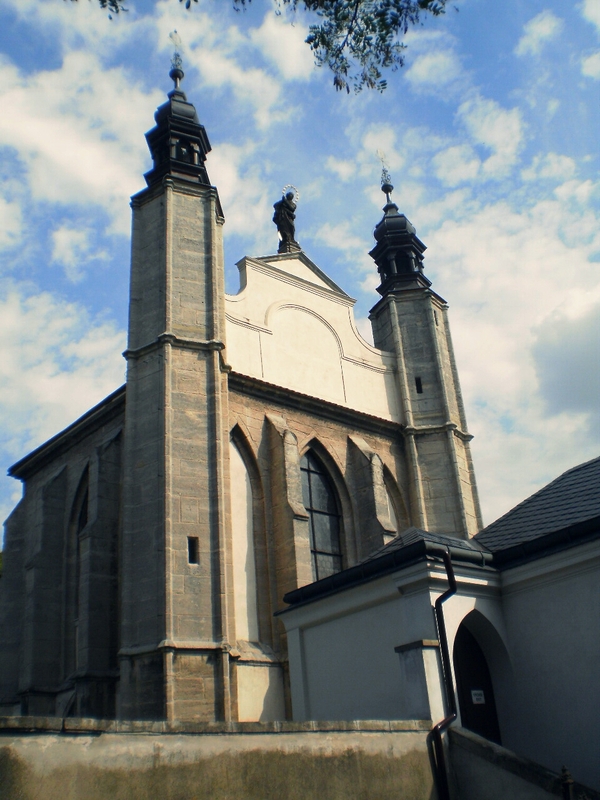 It receives roughly 200,000 visitors per year. 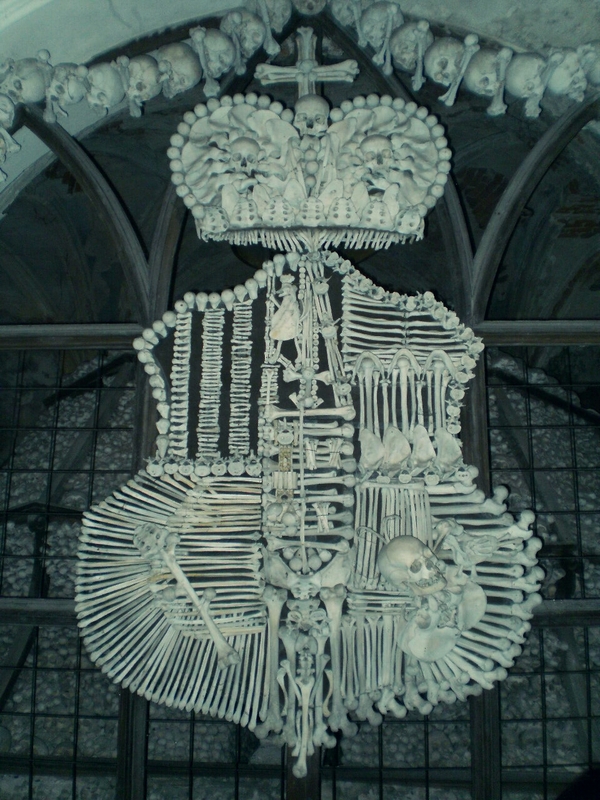 The ossuary, said to contain the bones of 40,000 to 70,000 people, was the product of the work of František Rint, who arranged the bones into chalices, chandeliers, and the coat of arms of the Schwarzenberg family in 1870. 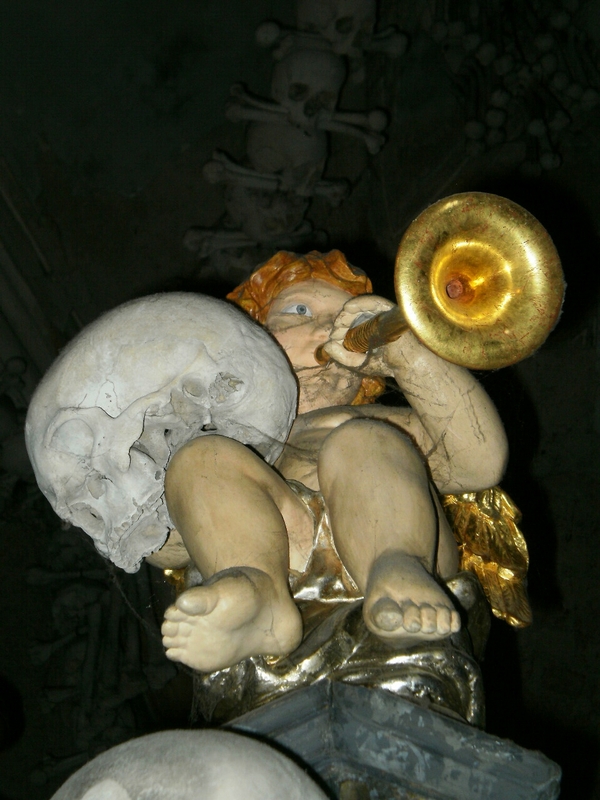 A crucified Jesus presides over the sordid arrangement of bones. 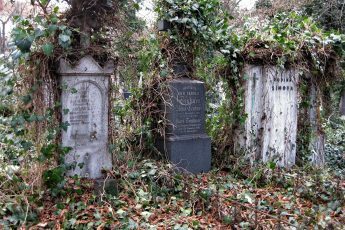 The massive amount of remains in the small cemetery around the chapel was owed to the spreading of soil from the Holy Land brought back by a monk in the 13th century, which made the cemetery a much-coveted resting ground for believers from Bohemia and beyond. 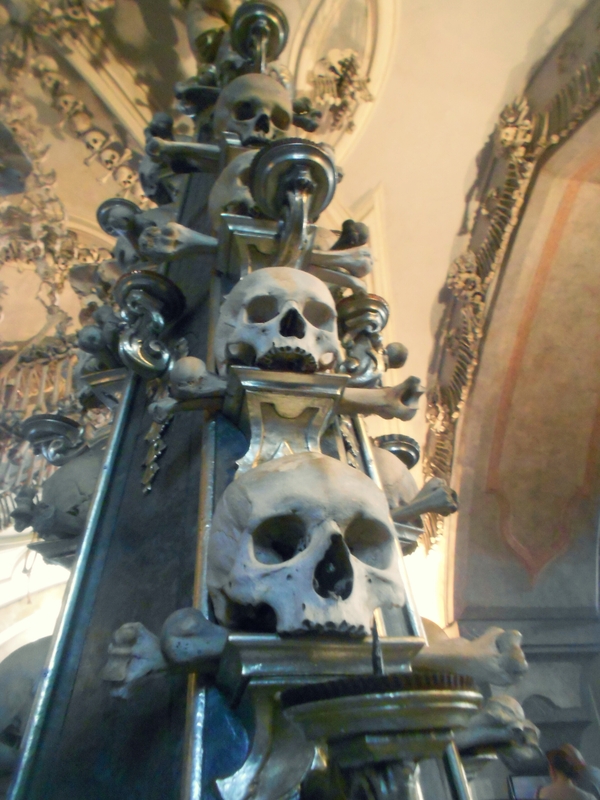 The Black Plague and the Hussite wars greatly decimated the population, with their remains being deposited in the chapel until Rint was commissioned with the rearrangement of the bones into their current state. 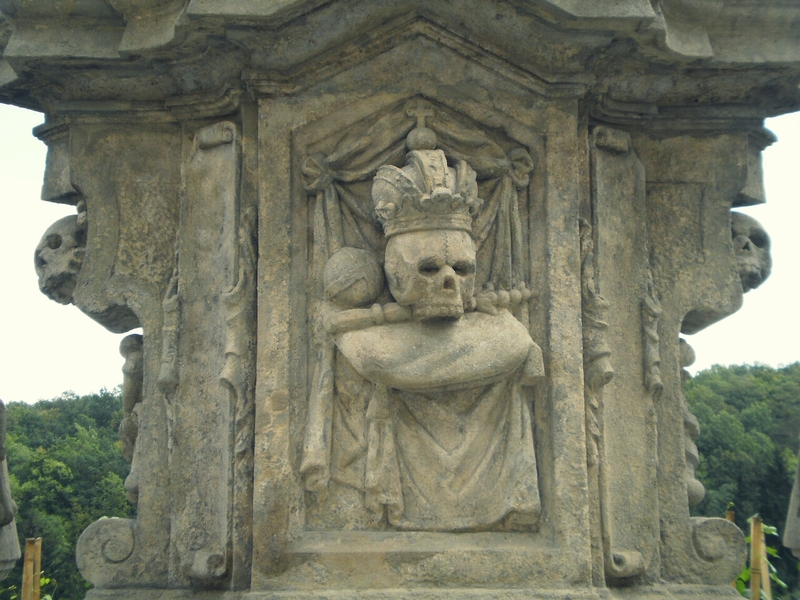 A macabre place to say the least, its purpose is said to be encouraging reflection on mortality, much according to the understanding of Vanitas in medieval Christian art. 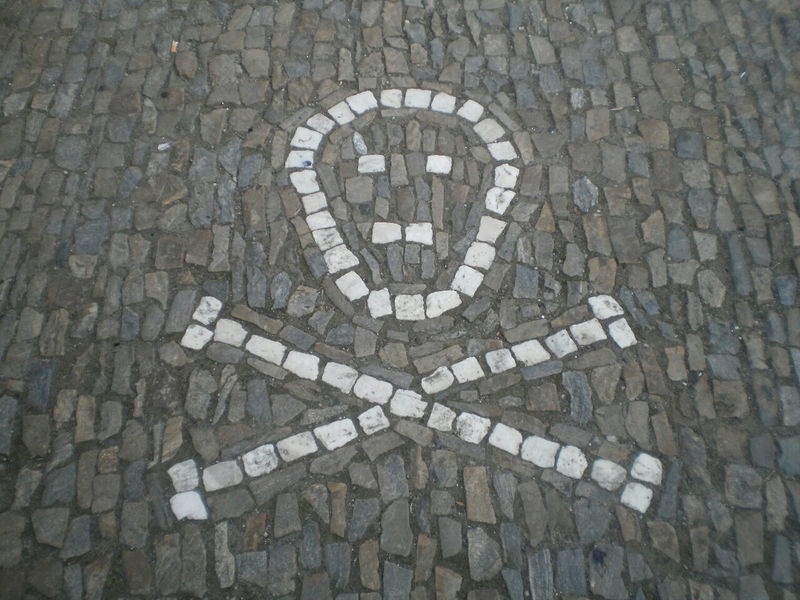 Kutná Hora is about 80 kilometers east of Prague. Buses leave from the bus station (right next to the train station) throughout the day. Tickets are cheap too, so this town is ideal for a day trip. 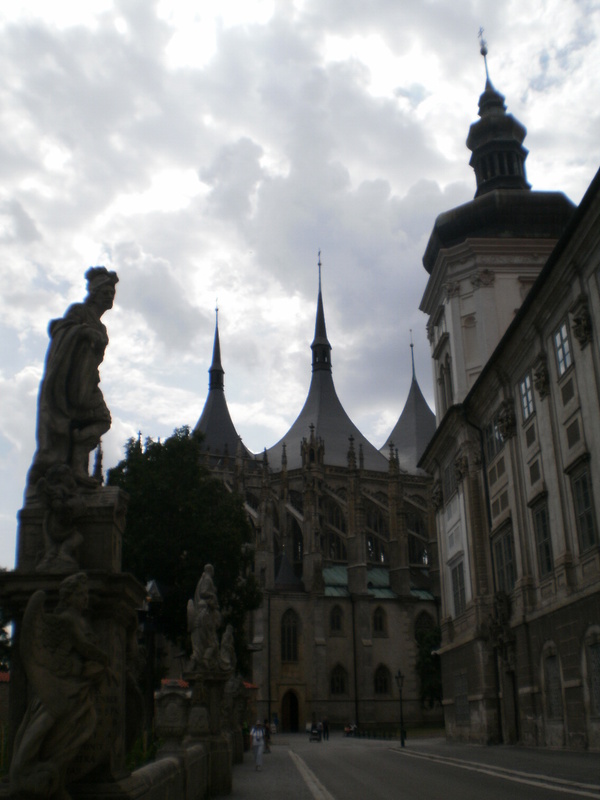 Have you ever been to Kutná Hora? 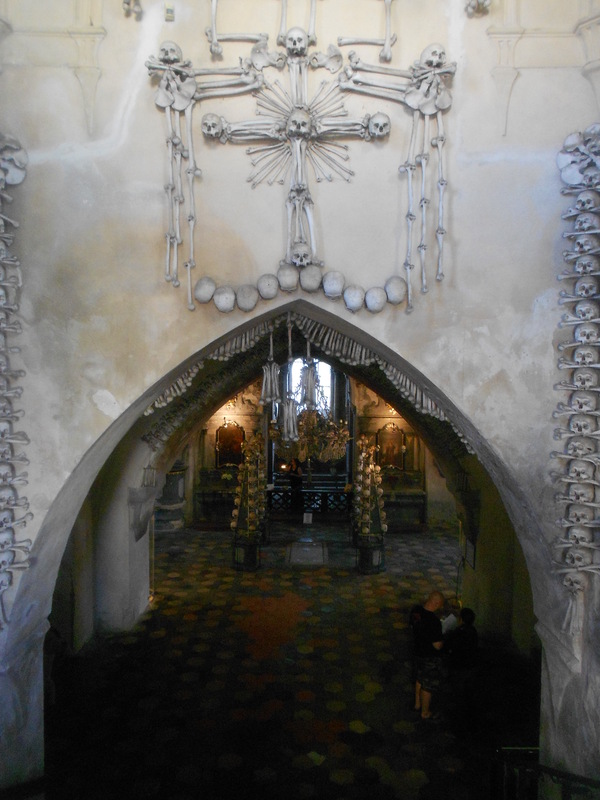 What about any other ossuaries in Europe? Share your experiences in the comments below! 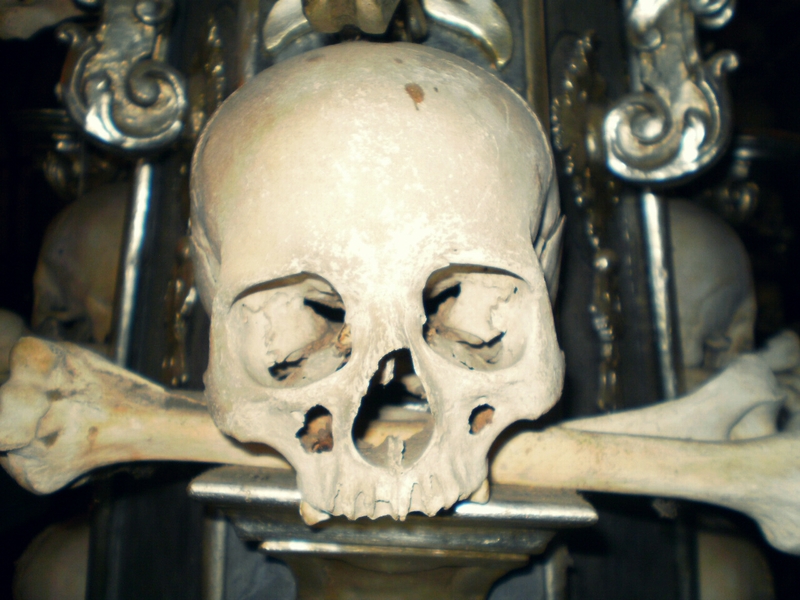 For opening hours visit the ossuary’s official website. Had never heard of the place!! How creepy. Wow, that’s kind of terrifying. I’m glad you posted this though because I haven’t seen many bloggers do this type of thing before.